From large hired lightboxes for impressive backlit exhibition stands to portable lightboxes that once collapsed, fit in a wheeled case that can be transported in the boot of a small car. Whatever your requirements, let us advise you on your many options. A lightbox can be an impressive feature on a custom exhibition stand and GH Display can help guide you on the potential uses. In the Screenworks custom exhibition stand above a 3 metre wide lightbox makes a huge impact. This impressive custom exhibition stand, which Netsupport revealed at BETT 2018, has two prominent lightboxes both of which join to the interactive backwall. In the example below we were asked to create large retail lightboxes that were to be installed in key positions throughout the huge beatty retailers pioneering store. 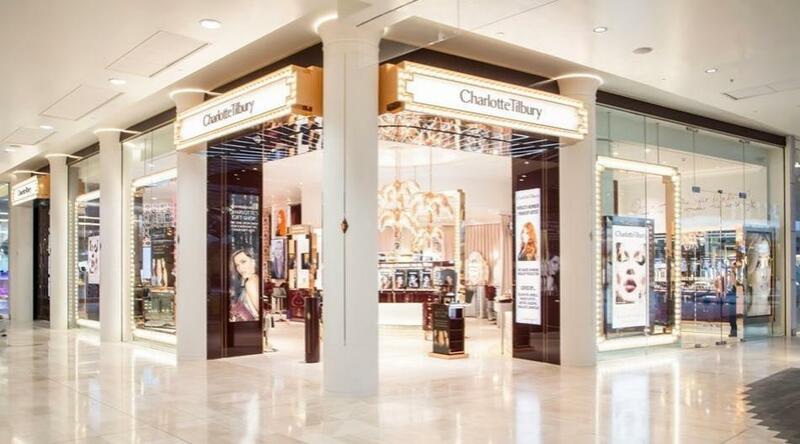 With the highest quality custom printed tension fabric graphics and flawless UK manufacturer aluminium frames the lightboxes were designed to take centre stage at the brand new Charlotte Tilbury store in London's Westfield's White City shopping complex. Portable displays are an essential marketing tool for all types of businesses. Quick and easy to put together, cost effective to purchase and cheap to rebrand with updated graphics for a fresh new display. 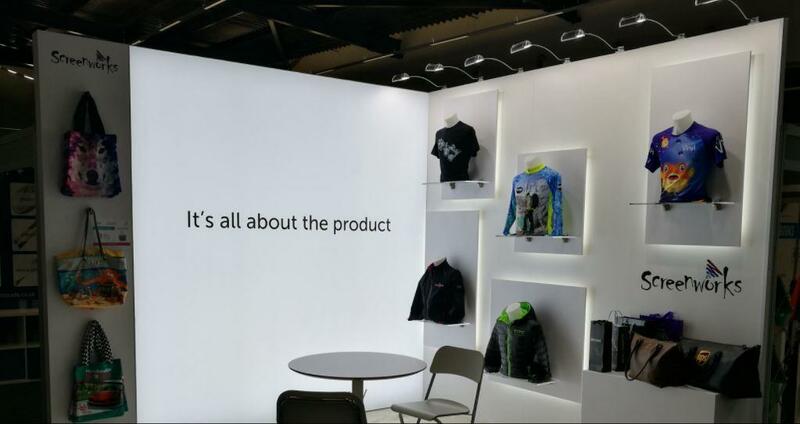 The major downside of portable displays is that it can be all to easy to turn-up to an event and find out that your exhibition display is almost a carbon copy of the exhibition stand in the booth next door. It can be difficult for the visitors to spot your unique brand amoung the never ending sea of pop up display stands, custom printed tableclothes and pull up banners! How do you stand out from the crowd? This tubular framed display wall is a beautifully simple yet effective display stand system. The frame simply push fits toegther and fabric graphic fits over the built frame, like a sock. The LED curtain is hooked on the top and bottom tubes and it all packs down to fit within the carry bags included. Prices starting from just £679.00 including cases, graphics and LEDs. 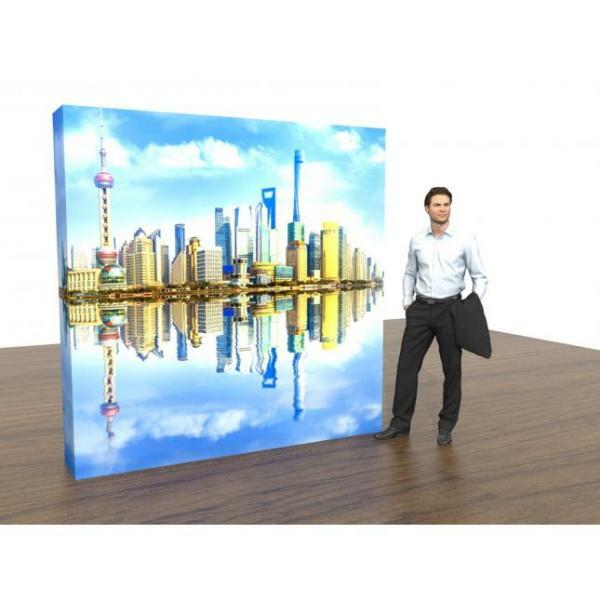 Browse this portable lightbox display in our online shop. This backlit lightbox display requires no tools and can be set-up by a one person team. It works in the same way as traditional pop up stands with its expanding frame. The backlit fabric graphic is seamless and simple slots into an outer channel around the frame. Prices starting from just £1998.00 including wheeled case, LEDs and fabric graphics. 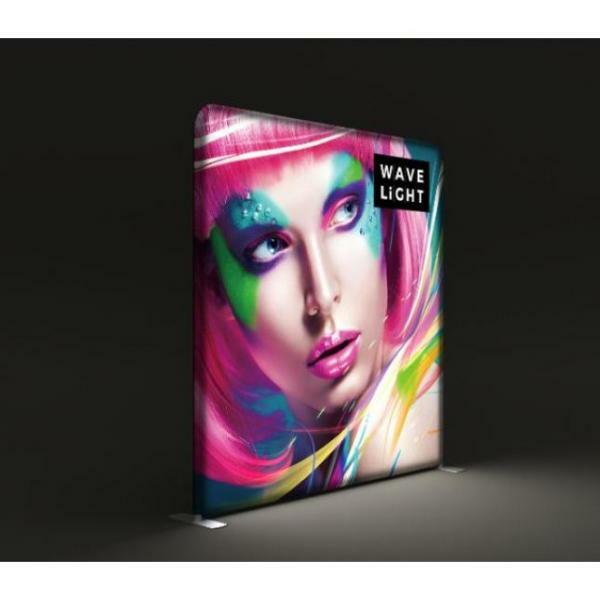 Browse this backlit pop up stand in our online shop. To find out more about the lightbox options from the biggest lightbox specialist in the UK call our Peterborough, Cambridgeshire office on +44 (0)1733 570222 or complete our enquiry form.